Finally, A Talking Cat!?! has made its way across the pond! But what’s this? The movie’s punctuation must have been lost over the ocean. It was probably like that episode of Wings where they had to dump stuff out of the plane so they wouldn’t crash. Wings. And last, but not least, we have “Wonderfully funny” said by Dummy Quote. Now, this is probably a placeholder until someone actually says something nice about Duffy the Talking Cat (don’t hold your breath), but I’d like to think that they’re just quoting some dummy who said “Wonderfully funny” sometime. Probably about a chicken parm sandwich. What a dummy. So, keep it straight everybody. Elevators are lifts. Apartments are flats. And A Talking Cat!?! 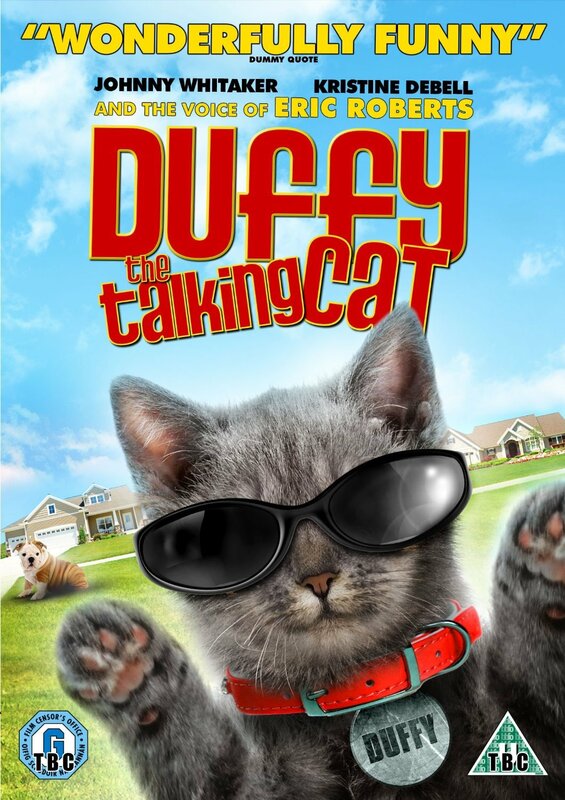 is Duffy the Talking Cat.